Question: Would Titanic lookouts having binoculars made a difference? The question of binoculars has always been an issue. 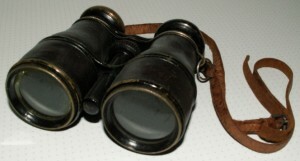 Binoculars work best in lighted and semi lighted environments. However on dark moonless nights where there is dead calm on the ocean, they would be least effective. Remember that binoculars limit your view to just what you are looking at rather than a wide area. Lightoller stated the purpose of the lookouts was not to identify but to alert the bridge, which they did by ringing bells. One gong meant look port, two gongs look starboard, and three gongs right ahead. The senior officer on the bridge usually had binoculars (Murdoch did) so they could look at what the lookouts were warning about, if not already aware of the issue. White Star was unique in that employed men for just lookout positions. Other lines usually assigned men on an ad hoc basis (meaning they were on duty at the time). 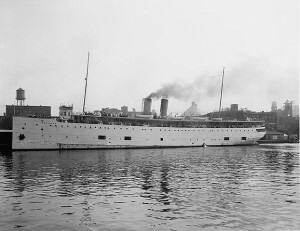 Lightoller told the US inquiry that he preferred those who had experience in such duties, especially on other ships he had been on. And he points out they became experts at detecting things on the horizon. ‘We have no look-out glasses in the crow’s nest” on Encyclopedia Titanica.